Bobby Kennedy Jr. opposes a proposed California law imposing oversight over doctors who exempt children from vaccinations to attend school. The author of the bill, state Sen. Richard Pan (D-Sacramento), says SB 276 is needed to prevent fraudulent and phony exemptions. State health data shows that medical exemptions tripled (from 0.2% to 0.6% of entering kindergarteners) after another Pan law ending the personal belief exemption went into effect in 2016. “Richard Pan … refuses to debate. He is parroting the talking points of pharmaceutical companies.” — Vaccination critic Bobby Kennedy Jr. If passed, SB 276 would require a health department official to review medical exemptions granted by doctors to make sure they are consistent with CDC guidelines. Critics, like Kennedy — an environmental justice advocate and part of the legendary American political family — are not convinced that vaccines are safe. 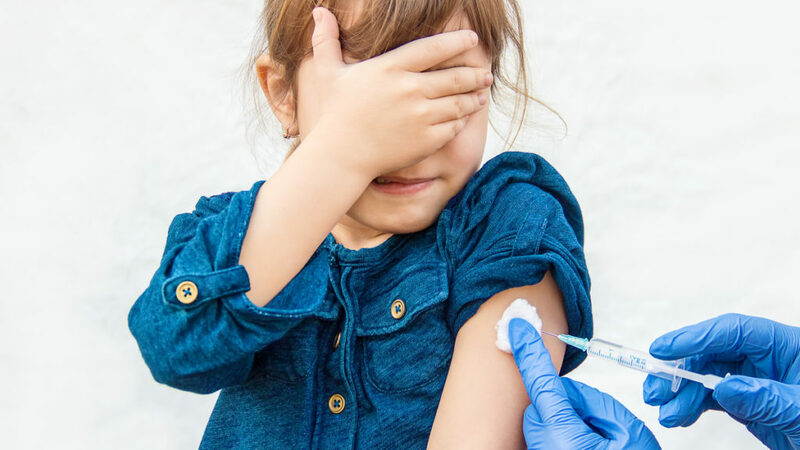 They cite a lack of full trials to ensure that vaccines work, they question vaccine ingredients, and they point out that manufacturers are exempt from vaccine injury lawsuits. The state Senate Health Committee hears the bill April 24. Protesters are scheduled to hold a demonstration at the State Capitol on Wednesday (April 10), as well as meet with legislators. GV Wire: What are your thoughts on SB 276? Bobby Kennedy Jr.: I think it’s a mistake. The vaccines it’s mandating have not been safety tested. Everybody knows that you can’t sue a vaccine company. Most people don’t know (that’s) because Congress gave them immunity from liability, which means that they have no incentive to make vaccines safe. Most people don’t know that there is also a loophole in the law that allows vaccines to come to market without safety testing. So none of the new vaccines currently on the schedule has ever been tested against another placebo. That means noting those vaccines are actually causing more injury than they are preventing. And to mandate a medical product — without knowing anything about the risks — seems foolhardy and reckless. Kennedy also pointed to a whistleblower lawsuit alleging that Merck falsified results of its MMR (mumps, measles, rubella) vaccine. That case has yet to be decided. GV Wire: The author of SB 276, Sen. Richard Pan, says it’s intended to stop doctors from writing bogus medical exemptions. Do you believe that’s his intent? Bobby Kennedy Jr.: I’ve never seen any evidence of that. (In Dr. Pan’s original bill there was a concern) that he would be stripping doctors of their rights to have a doctor-patient relationship. He assured everybody that there would be no interference with the way doctors treated their patients. This is inconsistent with his initial position. GV Wire: You have aired your opinions about vaccination safety and you’ve felt the barbs of social media. What’s your response to the criticism? Bobby Kennedy Jr.: All I can do … I read the science. If someone wants to debate me on the science, I’m more than happy to debate anybody. If someone wants to throw insults or criticism from the sidelines without standing up to debate me, there’s nothing I can really do about that. All I can do is repeat what the science says. Kennedy referred to a scheduled debate last month in Connecticut, hosted by members of the state legislature. The event was canceled when two Yale doctors pulled out. I think it’s kind of strange that the press gives any credit to people who refused to debate an informed opponent. I’ve written books on this. I know the science backward and forward. Come out and debate me. GV Wire: Do you think “anti-vaxxer” is a derogatory term? Bobby Kennedy Jr.: Of course it is. If you look at who these people are, these ignorant “anti-vaxxers,” virtually all of them are the parents of a vaccine-disabled child who is injured by a vaccine. These people are not ideological naturopaths. They are people who believe in vaccines until they watch their child be injured. Most of them are women. And I believe that it’s time we start listening to women, and not listening so much to pharmaceutical companies. Richard Pan wants to muzzle these women. He refuses to debate. He is parroting the talking points of pharmaceutical companies. GV Wire: What advice would you give the Legislature about the bill? Bobby Kennedy Jr.: How can you mandate a product when you don’t know what the risks are? The risk with most of the vaccines now mandated (is) that the vaccines may cause much more harm than the original illness did. And I’m happy to debate that science with anybody. wow, you platformed Kennedy and gave him the only voice in this? RFK Jr has done incredible harm to this world with his misinformation push, wakefield worship and anti-science and anti-psychiatry stance. He’s working with Scientology and Nation of Islam to push his agenda. How about start following the money trail and find out how they guys are funding their mission. OR how about the absolute harm they’ve caused Autistics worldwide with their lies about us? This is piss poor reporting. Do better.